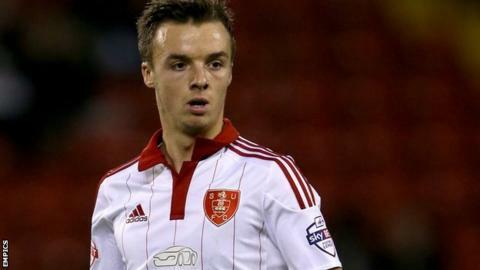 Fleetwood Town have signed Sheffield United midfielder Stefan Scougall on a 28-day loan deal. The 23-year-old Scot has not started a league match for the Blades since 17 October. He started his career with Livingston before moving to Bramall Lane in January 2014, helping the team make the FA Cup semi-final that season. Scougall could make his debut for the Cod Army in Saturday's match against play-off hopefuls Barnsley.